The key to men’s fall fashion is to pair the appropriate with the unexpected to create an eye-catching look. Use these color combinations to find fall clothes that inspire you. Autumn is known for its festive feel and bright color palette. 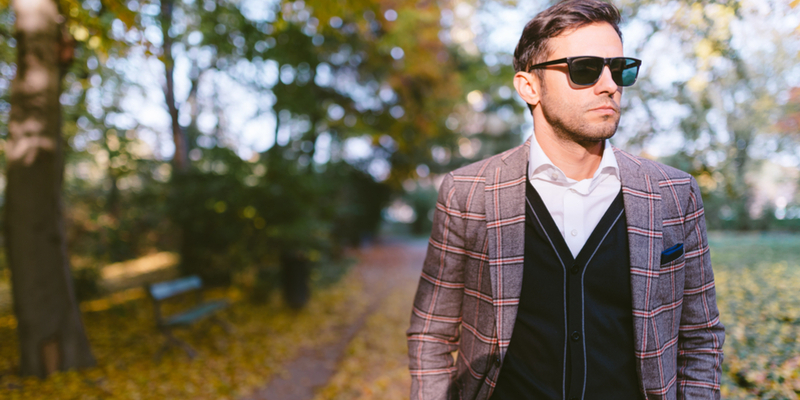 When looking for sharp suits to wear this fall, look for a good mix of professional and trendy to look your best. A gray suit is an ideal fall fashion for men because of its versatility. It can be dressed up for more formal occasions or down for a casual workday. Gray also pairs well with a wide array of colors; You can be as bold or reserved as you want. Giving a twist on the classic gray, light gray suits are perfect for fall. When you want a unique look, a light gray suit with pinstripes or plaid like the ones designed by Pepi Bertini allow you to take a classic look and make it your own. One of the most classic suit colors, navy, is ideal for fall clothing as a solid navy blue suit can be spiced up by wearing jewel tones. You can also take navy to a whole new level by adding some texture to the material. Pepi Bertini has created designs that make a navy blue suit stand out while still being professional. This style could be perfect for you, especially if you enjoy a more vintage feel. Whether you have a special occasion to attend or an important meeting where you are looking to make a statement, a royal blue suit will help you do just that. Keep it from being too loud by sticking with a plain white shirt underneath and an accent color like subdued golden yellow for your tie. Wearing a color combination like this is not only perfect for men’s fall fashion. but also displays your style and confidence. You will not be overlooked in this display of rich, fall color. A charcoal gray suit combines sophistication with intrigue. It is simultaneously professional and daring and begs to be noticed. It is the perfect color for a fall suit because you can accessorize it with just about any fall shade – and can be formal. No season is more associated with mystery than the fall season, and wearing a black suit gives you the freedom to be both elegant and mysterious. When it comes to fall clothes for men, a sharp, black suit should be a staple in any man’s closet. Wear it with a black tie for a luxurious or covert look. Whatever occasion you are looking to dress for, Pepi Bertini can design a fall suit that fits your style, tailored specifically for you. Specializing in modern, professional menswear, you will get nothing but the highest quality suits from Pepi Bertini with an emphasis on the smallest of details. For a unique experience and extraordinary menswear, request an appointment today. Explore the available options and find striking new additions to your fall wardrobe.